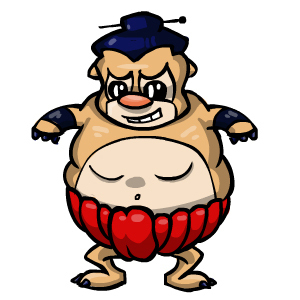 Sumo Sally quest count has now been added to your profile. You can also get to Sumo Sally at the Candyland map or at the Games page. You may also randomly receive a Sumo Sally Trading Card. The February 2011 Monthly Checklist winners have been announced and the prizes have been rewarded. Congratulations to all of those who have won. Don't forget, this is a monthly permanent feature that you can enter for FREE. If you haven't already, you should enter the March event! Winter is over now in Marada, and with Spring comes the Rainy spring season. The Lottery has been drawn for this week. chaser96 is the winner of the 91,300MP Jackpot with the winning numbers of 1, 2, 10, 12, 20 and 25! Congratulations! Last Week's Raffle has now ended. marapetsrock10 is the winner of the Red DNA and 100,000MP prize with the winning raffle ticket number 1207! Congratulations! Make sure you buy your tickets for today's raffle - only 10MP per ticket! These 4 new Earth Fairy pets have just been released. The Lottery has been drawn for this week. DANIELLEXY is the winner of the 87,400MP Jackpot with the winning numbers of 11, 4, 9, 20, 8 and 1! Congratulations! Last Week's Raffle has now ended. MassPanic is the winner of the Red DNA and 100,000MP prize with the winning raffle ticket number 3718! Congratulations! Make sure you buy your tickets for today's raffle - only 10MP per ticket! 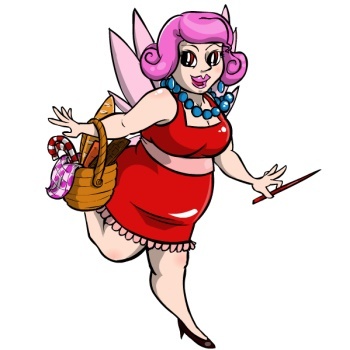 The Obese Fairy game has some new prizes! If you have fed your pet between 400-575 different Gourmet Foods you can now receive one of these new prizes!!! Prizes include an Obese Potato, Obesity Stamp, Obese Fairy Trading Card and Cupid Costume. Valentine's Day may be over but these new Cupid Pets are cute all year round! They'll be released soon and guess what... they're not from Account Upgrades or a new mission!!! The January 2011 Monthly Checklist winners have been announced and the prizes have been rewarded. Congratulations to all of those who have won. Don't forget, this is a monthly permanent feature that you can enter for FREE. If you haven't already, you should enter the February event! The Lottery has been drawn for this week. gburt9 is the winner of the 80,600MP Jackpot with the winning numbers of 17, 6, 16, 2, 10 and 9! Congratulations! Last Week's Raffle has now ended. luvtbears is the winner of the Red DNA and 100,000MP prize with the winning raffle ticket number 558! Congratulations! Make sure you buy your tickets for today's raffle - only 10MP per ticket! The Lottery has been drawn for this week. ollypop901145 is the winner of the 91,000MP Jackpot with the winning numbers of 9, 1, 2, 7, 4 and 5! Congratulations! Last Week's Raffle has now ended. XxMaraPopzxX is the winner of the Red DNA and 100,000MP prize with the winning raffle ticket number 696! Congratulations! Make sure you buy your tickets for today's raffle - only 10MP per ticket! The Lottery has been drawn for this week. PinkPumpkin is the winner of the 77,300MP Jackpot with the winning numbers of 4, 8, 2, 9, 1 and 5! Congratulations! Last Week's Raffle has now ended. beth4776 is the winner of the Red DNA and 100,000MP prize with the winning raffle ticket number 1767! Congratulations! Make sure you buy your tickets for today's raffle - only 10MP per ticket! The Lottery has been drawn for this week. mariobrothers568 is the winner of the 120,100MP Jackpot with the winning numbers of 1, 2, 3, 4, 5 and 7! Congratulations! Last Week's Raffle has now ended. crb1022 is the winner of the Red DNA and 100,000MP prize with the winning raffle ticket number 2936! Congratulations! Make sure you buy your tickets for today's raffle - only 10MP per ticket! The Game of the Week has now changed to Moon Racoons. A new January Firework Account Upgrade has just been released. The main prize is a Sumo Sally Pass which will give you life time access to these quests once you use this item. This is the only way you will be able to gain access - once this Account Upgrade retires, this item will not be available again. Check out these new Firework pets! The Lottery has been drawn for this week. dewd1991 is the winner of the 117,100MP Jackpot with the winning numbers of 15, 10, 9, 3, 2 and 1! Congratulations! Last Week's Raffle has now ended. laffytaffy12495 is the winner of the Red DNA and 100,000MP prize with the winning raffle ticket number 1118! Congratulations! Make sure you buy your tickets for today's raffle - only 10MP per ticket! The Gobble and the Vixen pets are no longer avaliable in Account Upgrades. This is how the mummy, zombie, prison and mutant Gobble looks and the kamilah and midnight Vixen. The Lottery has been drawn for this week. Nat4664 is the winner of the 82,000MP Jackpot with the winning numbers of 16, 12, 11, 23, 25 and 5! Congratulations! Last Week's Raffle has now ended. samsung2442 is the winner of the Red DNA and 100,000MP prize with the winning raffle ticket number 1210! Congratulations! Make sure you buy your tickets for today's raffle - only 10MP per ticket! The Lottery has been drawn for this week. PirateSophie is the winner of the 96,100MP Jackpot with the winning numbers of 23, 3, 17, 9, 1 and 10! Congratulations! Last Week's Raffle has now ended. Jennyrose1120 is the winner of the Red DNA and 100,000MP prize with the winning raffle ticket number 5449! Congratulations! Make sure you buy your tickets for today's raffle - only 10MP per ticket! The December 2010 Monthly Checklist winners have been announced and the prizes have been rewarded. Congratulations to all of those who have won. Don't forget, this is a monthly permanent feature that you can enter for FREE. If you haven't already, you should enter the January event! The Lottery has been drawn for this week. Brinco is the winner of the 145,000MP Jackpot with the winning numbers of 25, 7, 8, 23, 3 and 12! Congratulations! Last Week's Raffle has now ended. kitty20456789 is the winner of the Red DNA and 100,000MP prize with the winning raffle ticket number 288! Congratulations! Make sure you buy your tickets for today's raffle - only 10MP per ticket! Just over a week left before we retire all of the Christmas Account Upgrades. This is your last chance to get hold of a restricted Vixen pet - which is now avaliable in 5 new colours! This Account Upgrade will *RETIRE* on Jan 8th!! The Lottery has been drawn for this week. ramirez6208 is the winner of the 119,500MP Jackpot with the winning numbers of 6, 16, 12, 2, 18 and 22! Congratulations! Last Week's Raffle has now ended. july4girl is the winner of the Red DNA and 100,000MP prize with the winning raffle ticket number 2831! Congratulations! Make sure you buy your tickets for today's raffle - only 10MP per ticket! The staff at Marapets would like to wish you all a safe and merry Christmas. From here in Australia, Ocenia & Asia, we are already half way into Christmas day, those of you in Europe should be waking up soon on Christmas morning, and Santa is on his way now over to those of you in North and South America.